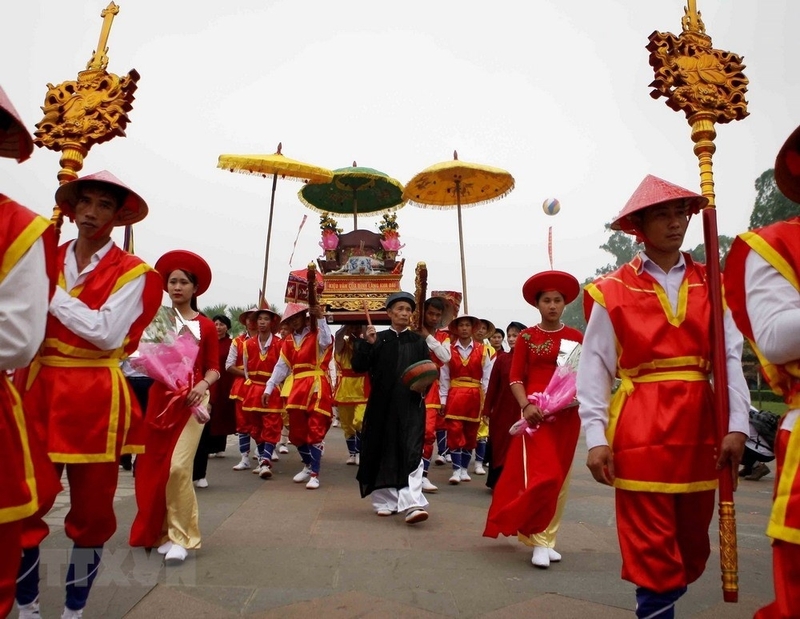 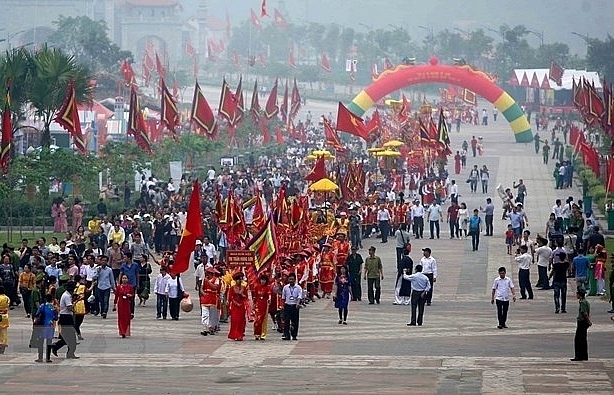 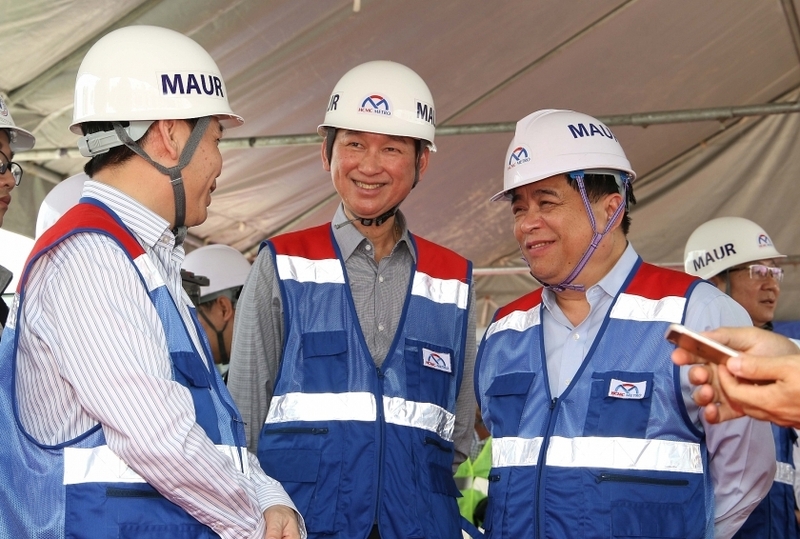 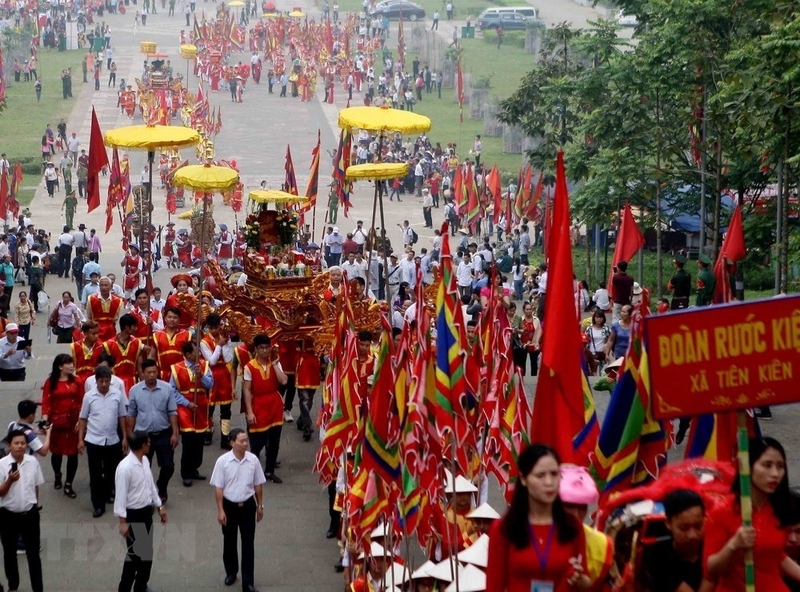 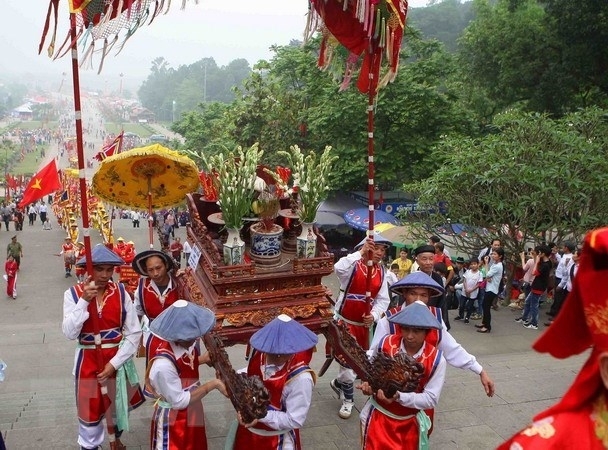 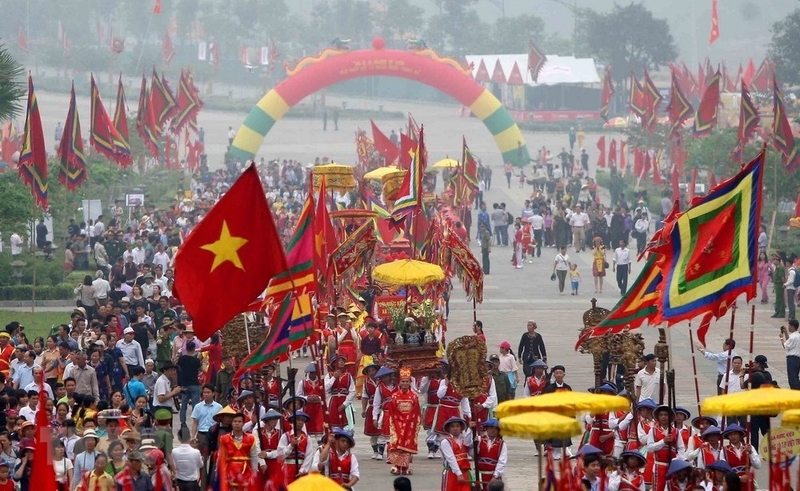 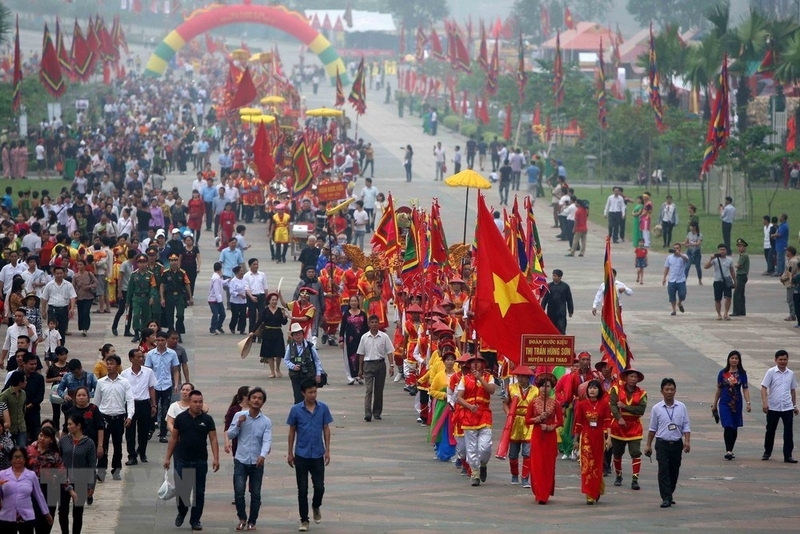 The palanquin and offering procession was organised by seven communes and wards surrounding the Hung Kings Temple Complex in the northern province of Phu Tho on April 23. 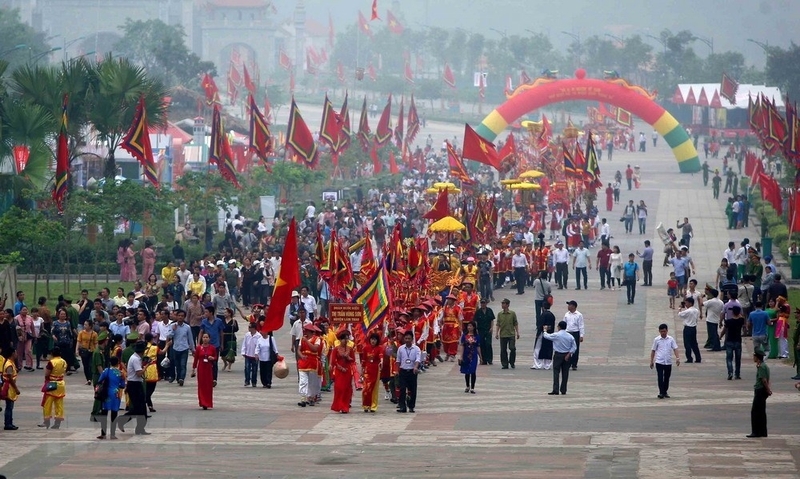 The procession was led by lion dancers, followed by groups carrying national and festive flags and others playing ritual drums and gongs. 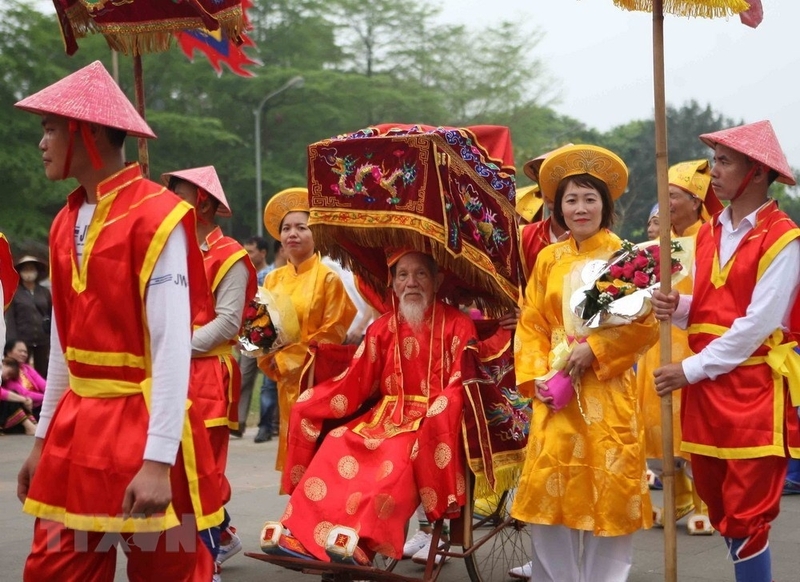 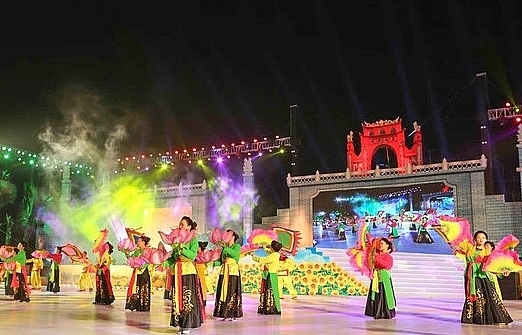 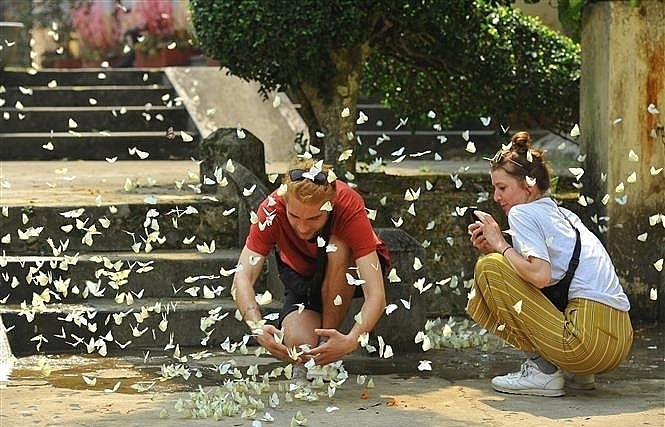 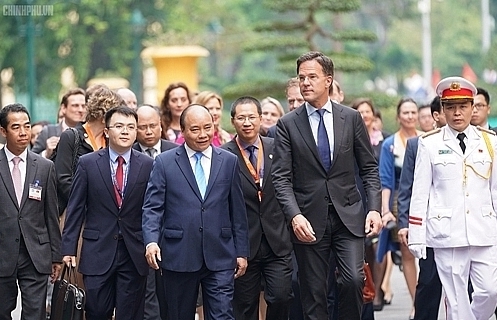 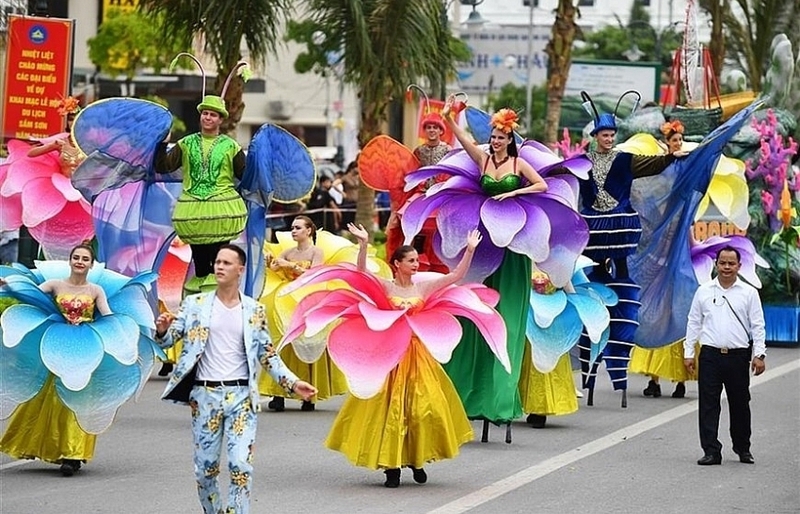 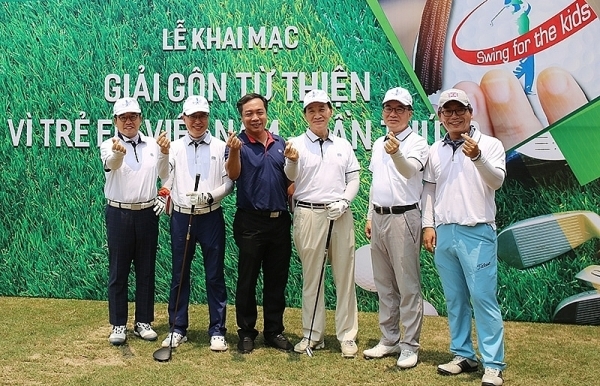 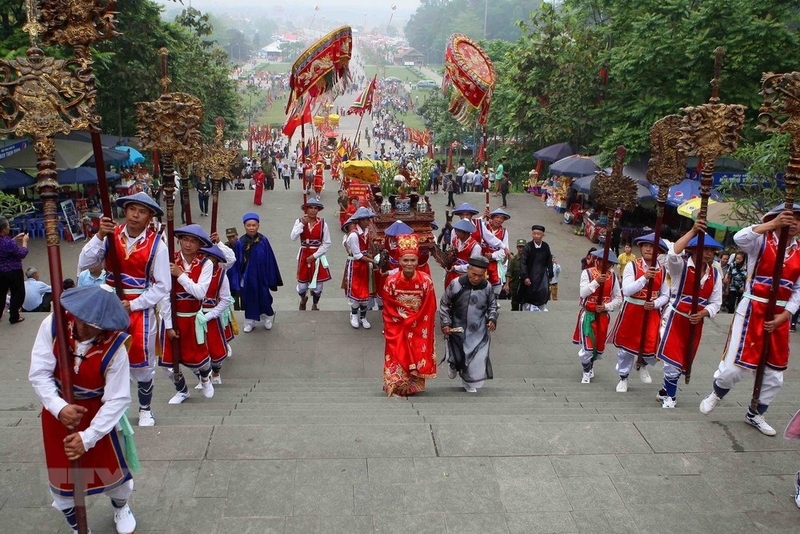 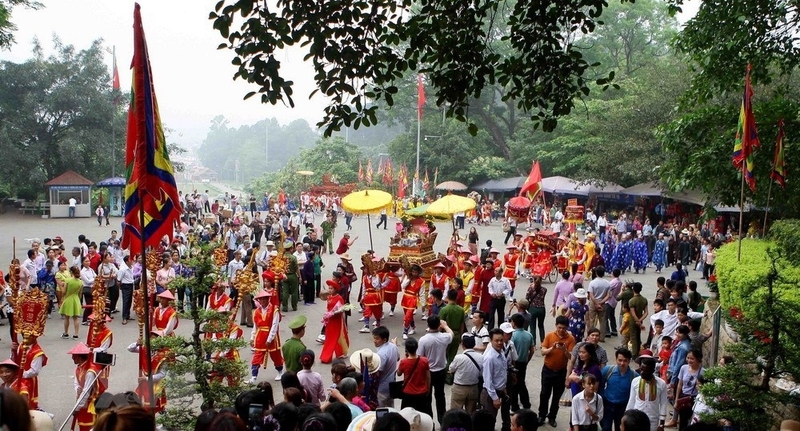 The event forms part of activities to celebrate the annual Hung Kings Temple Festival this year to pay tribute to the nation's founders and ancestors.